Ernie Gawilan turns his Olympic dream into reality. ERNIE Gawilan, Davao’s para athlete swimming sensation, realized his Olympic dream on Sunday at the 8th Asean Para Games when he clocked a new meet record of 4 minutes 48.49 seconds in winning the gold medal in the men’s 400-meter freestyle S8 event in Singapore. The 23-year old Gawilan, who was born with underdeveloped extremities and orphaned at an early age, won the gold medal in spectacular fashion — chopping off over four seconds from the previous record (5:03.09) — that surprised the competition, and even the Dabawenyo himself. “Dili ko katoo na nakaya nako sir (I could not believe that I did it, sir),” Gawilan said in an online interview after his feat. Gawilan trailed Singapore's Toh We Soong, his tormentor in the 100-m freestyle event a day before, in the first two laps before taking the lead for good by the 1:31 mark. He finished with a flourish, leaving Toh behind by over 20 seconds at the end of the race which gave the Philippines its first gold medal in the swimming competitions. With the gold medal finish, Gawilan was elated to finally book a slot to the 2016 Rio Paralympics, making him the first Pinoy paralympian swimmer to make it. “Salamat Lord for the first time nakapasok din time ko para sa Paralympics. Matagal ko rin ‘tong pinaghirapan at pinagtiisan. Nag-qualify din sa wakas,” Gawilan said. Gawilan’s previous personal best in the event was 4:53.67, and he needed to beat the Olympic qualifying time of 4:48.29. 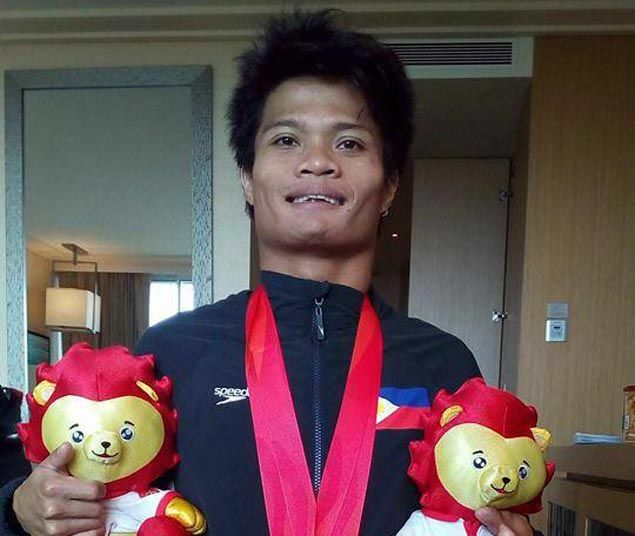 Gawilan ended his stint in the 8th Asean Para Games with one gold and one silver medal.